r. Novoa is a professional of the pharmaceutical industry with a Masters in Microbiology; a Bachelor in Science (Chemistry, Bacteriology and Microbiology); specialization studies in clinical pathology and clinical microbiology. 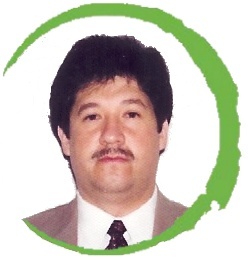 Mr. Novoa has 30 years of experience as the Executive Manager of technical laboratories, blood banks and participated in several investigation committees. Received his certification in Clinical Microbiology from the CONAECQ in Mexico and was a faculty member in several Universities such as the IPN, UNAM, and the medicine department of ULSA. He has been a member of the National Academy of Pharmaceutical Sciences board since 1996 and is a medical expert certified by the Attorney General’s Office in Mexico City. With more than 30 articles published in national and international magazines, Mr. Novoa provides Curazene® with his great expertise and knowledge of the Latin-American pharmaceutical industry.